More than two decades after California legalized medical cannabis, the debate still rages about its health benefits. On one hand, nearly every state in the country has legalized some form of a medical marijuana program. And several states — Vermont included — have legalized recreational adult use of the drug. But on the other hand, the federal government still considers weed a Schedule 1 drug, meaning it has “no currently accepted medical use and a high potential for abuse,” according to the Drug Enforcement Administration. 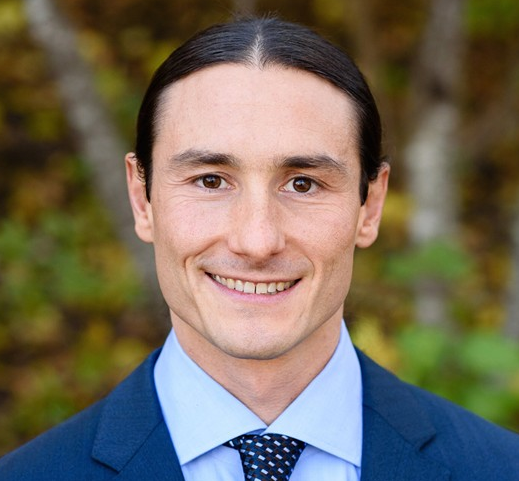 Dr. Dustin Sulak is a firm believer in medical marijuana. The Maine-based osteopathic physician has long believed in cannabis as a medicine and happens to live in a state that legalized medical weed in 1999. But the Pine Tree State had not authorized medical cannabis dispensaries until 2009, when residents voted to expand the program. That was also the year that Sulak first opened his private practice. Sulak has founded two clinics in Maine, where he and about eight other medical providers see more than 8,000 patients who use cannabis to treat debilitating conditions. Sulak now lectures across the country — and even internationally — about what he’s learned during nearly a decade in business. He’s long touted cannabis as an alternative to pharmaceuticals, and as something he thinks could make a major dent in the nation’s opiate crisis. Sulak will be in Vermont this week for two different events. On Friday, he’ll present at the Burlington City Hall Auditorium on the use of marijuana as a treatment for chronic pain. The 90-minute event begins at 6 p.m. and will also be streamed on the Champlain Valley Dispensary’s Facebook page. (The dispensary is hosting the event.) Sulak will then lecture Saturday at the University of Vermont’s College of Medicine Integrative Pain Management Conference. Seven Days caught up with the doctor to discuss medical cannabis, opioids and the latest research. The following interview has been edited for clarity and context. SEVEN DAYS: Why do you think cannabis works for patients? DUSTIN SULAK: We have a physiological system called the endocannabinoid system. This is a part of our bodies, all of us have it, and it’s our way of responding to illness, injury, inflammation, any type of cellular dysregulation. Part of the discovery of this physiological system in the late ’80s and early ’90s was this very question: How the heck is it possible that THC can treat so many different things? It seems very unlikely, like it’s some kind of snake oil. “Yeah, it can help with cancer and infection and nausea and pain and everything else under the sun.” Yeah, right. And when people started looking at how it does that, the answer is that we have basically been doing this already since before we were born. We’ve been using cannabinoids as signaling molecules in our bodies — we produce them with our inner pharmacy — and we use them to respond to any type of physiologic imbalance or dysfunction. So this endocannabinoid system is an excellent target for therapeutics, and it’s been recognized as this great target for therapeutics. There’s been a huge amount of research and funding and inquiry that’s gone into that. And it just so happens that we have this herb that has a great interface with the endocannabinoid system. The plant cannabis is a great way to interact with this inherent part of our healing system. SD: Maine voted to legalize recreational cannabis in 2016 and the law will eventually allow for taxed-and-regulated retail shops. How has legalization impacted the medical marijuana program? DS: It’s certainly impacted what I’m seeing in my practice. One of the most notable effects is that a lot of people that were somewhat on the fence about medical are now much more willing to try medical. Since legalization passed, our number of new patients has gone up, in particular the elderly. We’re getting a lot more elderly patients. I think they’re kind of thinking, Yeah I’ve been on the fence about this for a long time but now that it’s more normalized, more accepted in the general population, I’m more comfortable giving this a try. That’s one thing we’re seeing. There’s a number of patients in Maine that grow for themselves, that treat themselves. They’ve been using cannabis a long time and they know how to do so. They don’t have to come back and get a certificate from me. They can if they’re appreciating the health care services but they don’t have to. I’m always a big fan of empowering people to participate in their own health care and I think that’s fine. In my opinion, cannabis should be just as legal as chamomile, and should be in the health foods store and should be legal for people to cultivate their own, and I think this is only a positive thing. It’s normalizing it in the population, it’s improving the spread of information and education. My hope is that gets followed up not just on the medical side but also on the adult-use recreational side with education and modeling, how to safely and responsibly use cannabis. That’s not something I really take on in my practice because we’re so focused on sick people, but I see that as a need. Right now, a lot of people have had role models in their lives with healthy alcohol consumption, and they know what healthy and unhealthy looks like. That’s not the case for a lot of people with cannabis, so I’m hoping that gets out there more as well. SD: What have you learned while traveling and talking about cannabis? DS: There’s just such great demand and it’s all about education. The more doctors and the more patients that know about this, the safer they are and the better they are. It’s just such an incredible medicine. It really does often sound too good to be true — but it’s true. There is no other medical practice where you can get together at the end of the day with other providers and talk about how many people got off opioids, how many people got off benzodiazepine, how many people were disabled and went back to work. I mean, I’ve been doing this for nine years and it’s still really hard to believe. SD:What makes you an expert in this field? What in your background has prepared you to speak on this subject? DS: The No. 1 thing is experience. I’ve been in the clinic, with patients. The other thing is my background in integrative medicine. You could take a more conventional, allopathic provider — someone who’s been doing pain medicine. They don’t tend to have a great deal of comfort with botanical medicine and with complex medicines that involve more than molecule, as opposed to single-molecule pharmaceuticals. There’s a lot of problems in medicine, right? What we’re focused most on is treating symptoms and waiting until things get really bad and bringing in these aggressive and expensive treatments. And cannabis is really quite different. It’s not simple; it requires an individualized approach. You can’t say, “For MS, take this three times a day and for PTSD, take this twice daily.” There’s not a cookie-cutter way to have patients be successful with cannabis. It’s really understanding individuals and educating them about how best to use this for their individual purposes. This holistic, individualized approach, with a real emphasis on education — these are the mainstays of integrative medicine. The last thing that makes me an expert is I have a passion for the primary literature and there’s just such a big disconnect. Most clinicians are having industry-sponsored education all the time. With cannabis, that’s obviously not happening. As a clinician, we have to be able to go to the animal research and to the primary literature and find out what’s happening there and apply that to our clinical practice. Things are really backwards with cannabis. Usually we have animal studies and human safety studies and human trials and then it’s released out into the population. But with cannabis, it’s totally backwards: We’ve got this big, widespread use in the population that’s proceeding the validation that usually happens first. So we have to stay agile and stay really up to date about what’s happening in the research. SD: And that lack of research is because cannabis is illegal federally? DS: The federal government does limit the research, but that’s getting a little bit better. The international community is honestly picking up a lot of the slack and now that people are starting to see dollar signs in cannabis, we’re starting to get a little bit more research. But there’s been a lot of obstruction, what we call institutional bias. So this means that for decades, the only studies that have been funded had to go through the National Institute on Drug Abuse and they had only been approving studies that look at the harm of cannabis. Because all of the studies are designed to look at the harm, and the studies that are designed to look at the benefit haven’t gotten funded, you get decades of U.S. research with this inherent bias. Now that is starting to change. And as I mentioned, there’s a lot of international research making up for it. What we have is people who have been using this illegally and now it’s becoming legal — that’s a good thing. The No. 1 side effect of cannabis is the legal consequence of using it. Now, when it becomes legalized, that side effect goes away. I say the No. 1, I mean the most dangerous, not the most common, but the most dangerous would be getting thrown in jail, losing your student loans and losing your job and so forth. And now that those risks are mitigated, what we have are a lot of people using cannabis. There’s a ton of evidence that cannabis works and it’s effective for chronic pain. Last year, the National Academies of Sciences, Engineering and Medicine released a huge report and they said that there’s conclusive evidence that cannabis is effective for chronic pain. Now as a clinician, I also know that cannabis is an incredible treatment for PTSD, but the research isn’t there. There’s almost no research on cannabis and PTSD, it’s very scant. And so while tens of thousands of people are using it for PTSD right now with great effect, we don’t necessarily have the ability to validate that from a scientific perspective. SD: I know that you believe medical cannabis can reduce opiate use. What have you seen in your studies and with your patients in Maine? DS: There are definitely some recent studies that all kind of point in the same direction, which is, when we have a population of people that are using opioids for chronic pain and we start them off on medical cannabis, after a period of about six months, what we’re seeing is around 40 percent of people are getting off their opioids. We had this experience in Maine. I did a survey in 2016 and we had 542 people who added cannabis to their opioid treatment. And 39 percent of them were able to stop their opioids completely. And then another 39 percent reduced their dose. So yeah, there are still 20 percent of people who it didn’t really help them reduce opioids, but we also asked about improved quality of life and improved function. And those responses were 80 percent for improved function and 87 percent who had improved their quality of life. We’ve seen very similar data out of Israel, out of New Mexico and out of Michigan just in the last couple of years. So this is a trend that’s really consistent. There is some bias in it, I will say. The people that are getting these great results are wanting these great results. They’re specifically coming to cannabis with the intention of using it that way. But even so, it’s great to have motivated patients and I think most patients who are using opioids are actually motivated because the opioids don’t work and make the pain worse and they’re really dangerous. SD: Do you think there’s a way here to reach people who are already addicted, who might be at a high risk of opiate overdose? DS: There’s a clear trend that states that have approved medical cannabis have less opioid overdose deaths and that’s by about 25 percent. There’s also a clear trend that in states that have medical cannabis laws; there’s a reduced number of emergency room visits and hospital admissions for opioid abuse and opioid overdose. That’s really clear. In the time that passes after the marijuana law is in place, the rates of opioid overdose and hospital admissions get better and better in kind of a linear, time-dependent manner. So it really looks like the law has something to do with it. There’s also been a lot of evidence that in states that pass a medical cannabis law, less pain drugs are being dispensed by pharmacies. This has been looked at using Medicare and Medicaid data, really powerful numbers that show doctors are prescribing a lot less of the opioids in states where cannabis is available. I want to draw attention to this because a lot of your readers may have the misconception that the opioid problem is a drug-addiction problem and that it’s a heroin problem. The truth is, it’s not. It’s a doctor problem. It’s because doctors are prescribing so many of these drugs that we have so many people dependent and addicted. That’s really the only reason. The pill problem is much bigger than the heroin problem and the heroin problem is mostly because people get hooked on pills and then they lose access to the pills or the pills become too expensive on the street and they turn to something cheaper. About 87 percent of heroin users start on pills. And a lot of these people were starting from their doctor. So the lack of an alternative to treat chronic pain has driven clinicians to write for all these opioids. The United States has about 5 percent of the world’s population but we use about 80 percent of the world’s opioids. It’s just good business here. Doctors have been misled a long time, and with a lack of a better option, this is a problem that we’ve created. It’s a medical problem, not primarily a drug abuse problem, even though the drug addiction treatment field is the one that gets to clean up the mess. Cannabis is really a way for people to engage in their own health care. This is a cost-effective, very accessible, very effective thing that someone can do and really have good results with. Very safe, very effective, very accessible. This is what we need in medicine right now: safe, effective and accessible.